This iconic and historical building located in the heart of Fort Lauderdale, just minutes away from the beach, was in desperate need of a new roof. The existing coal tar pitch roof was over 40 years old. A modern yet “green” approach was the idea behind this project. The need for a sleek look on the rooftop to accompany the buildings contemporary lines was one of the requirements of the Institute. PSI Roofing was able to mobilize for this special project within a week’s notice and work around the clock while the school semester was in session, with approximately 3,000 students accessing the building on a daily basis. The project was successfully completed in three weeks and all logistics were handled by cranes and outside lifts, along with full time on site supervision with inside safety monitors. A new GAF Single Ply roof system was installed, which included an insulation application with high end flashings and high-grade heavy gage aluminum coping caps to match the silver color design throughout the structure. With the new white reflective roof system, the Institute was also credited a FPL rebate and expects a 6% reduction in their power consumption over the next 20 years. 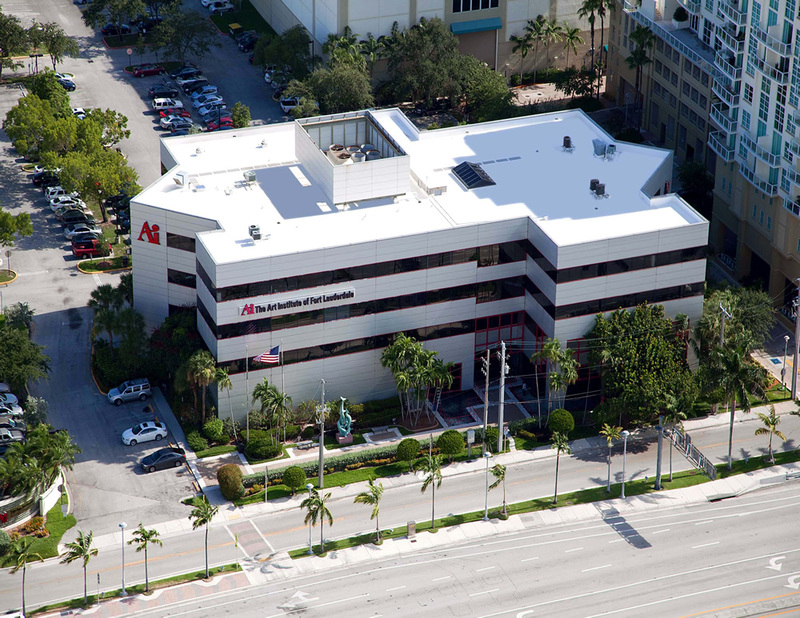 Upon completion the new sleek roof not only complemented but stood out among the notable high rise buildings within its surrounding area, seconds away from Fort Lauderdale Beach. Over the last 25 years we have made it a point to complete our projects in a prompt and professional manner, and to go above and beyond the call of duty to achieve customer satisfaction.